1 Prevalence of Diabetes Mellitus, malaria and co-morbidity in three Selected Hospitals in Imo State, Nigeria. 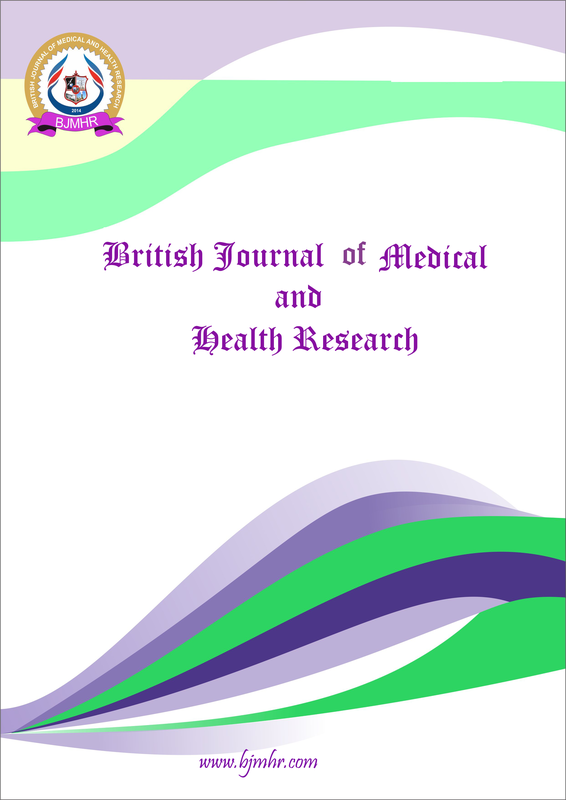 Abstract : This study was carried out to determine the prevalence of diabetes mellitus, malaria and co-morbidity in three selected hospitals in Imo State, Nigeria. It was designed to ascertain the distribution of the cases among the variables, patient’s age, occupation, and gender. Also management of diabetes and malaria by patients were considered. A descriptive survey research design was used. The study was carried out in Imo State between August 2016 and November 2016. The study was conducted in three selected hospitals from three geopolitical zones in Imo State. They are Mercy Hospital Umulogho Obowo L.G.A, Holy Rosary Hospital Emekuku Owerri North L.G.A and Trinity Hospital Umuaka Njaba L.G.A. Two hundred and ninety-six (296) patients were tested for diabetes, malaria and co-morbidity of the diseases. Blood samples were collected with 5mls syringes via the vein. The blood samples were tested with glucometer for diabetes and after were also tested for malaria using WHO guideline. Analysis was done using descriptive statistics and chi-square (X2). The result showed that out of the 296 patients sampled, 230 (77.7%) were positive for either diabetes, malaria or co-morbidity while 66(22.3%) had no diabetes nor malaria. Also 81(35.2%) had diabetes only, 119 (51.7%) had malaria only, 30 (13.0%) patients had co-morbidity ( both diabetes and malaria). The Prevalence of diabetes mellitus (11.1%), malaria (15.2%) and co-morbidity (4.7%) were higher in Holy Rosary hospital Emekuku than in other hospitals, distribution of diabetes mellitus, malaria and co-morbidity by age indicated that age brackets 40-49years had the highest prevalence of diabetes and malaria 8.3% and 13%, while age range 50-59 and 60-69 had the highest prevalence in co-morbidity (3.9%), P>0.05. On occupation, self employed patients had the highest prevalence of diabetes 13.9%, malaria 20.4% and co-morbidity 5.7%, P>0.05. The distribution of cases of diabetes mellitus, malaria and co-morbidity based on gender, showed that Females in the three hospitals had higher prevalence of diabetes, malaria and co-morbidity than males P<0.05. Most patients 22.5% used blood glucose monitor (glucometer) and oral hypoglycemic agents and drug therapy/use of ITN 31.3% was highest for malaria control. Diabetes, malaria and co-morbidity of the diseases are major global health problems and continuous awareness creation, education and funding for prevention and control is of paramount importance.